The splash of colour in the picture is a treat to the eyes. If we ask you to name the colours in the picture you will feel it is a child’s play. But, did you know that these colours can actually start a tug of war between your brain and your vision? You will be optically baffled and your reaction time will work like a snail. Don’t believe it? You should take the Stroop test. Name the colour (of the ink) in the given image. The first two lines would have been a piece of cake for everyone. The real problem starts from the third row. Suddenly there seems to be a conflict between what you see and what you actually have to say. You tend to read the word instead of naming the colour. This is the Stroop test and the effect is called the Stroop effect. History – The effect was named after John Ridley Stroop, who published the effect in English in 1935 in an article entitled “Studies of interference in serial verbal reactions” that includes three different experiments. However, the effect was first published in 1929 in Germany, in German and not in English. Researchers have used the Stroop test to measure. • The selective attention and the processing speed of a person. • Disorders such as schizophrenia, attention deficit disorder (ADD) etc. 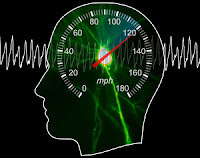 • Brain activity to see which areas of the brain is functioning during focus and attention. There are a number of theories that are given to explain the effect. The difficulty in reading is because of the interference of different processes. Speed of processing model- This hypothesis suggests that word processing is much faster than colour processing. Therefore when you are asked to report the colour, the word information wins the race and arrives at the final decision process stage earlier. Automaticity model – It is the most common explanation. According to this theory, reading is an automatic process, which cannot be turned off. Reading the words requires less consciousness. On the other hand, naming colours is not automatic. It requires more effort than reading and your lazy brain struggles through it. Parallel distributed processing model -Different tasks develop different processing pathways. The pathway for reading the words is shorter and stronger. In addition, automaticity is a function of the strength of each pathway, hence, when two pathways are activated simultaneously in the Stroop effect, interference occurs between the stronger (word reading) path and the weaker (colour naming) path. 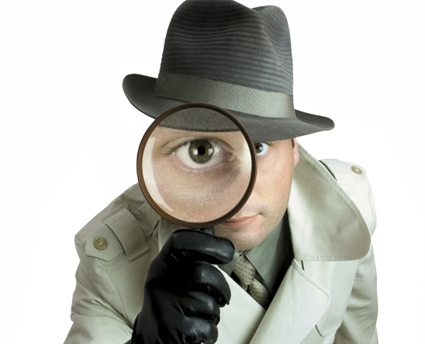 Selective attention – The Selective Attention theory suggests that colour recognition requires more attention. 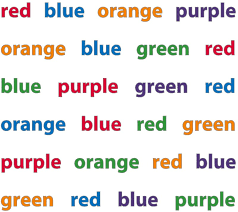 The brain needs to use more attention to recognize a colour than to name the word. The already busy grey matter feels like doing the easier task first. So, you tend to read the word instead of naming the colour. Reaction-time data are analyzed by computing the response time for each participant over the relevant set of trials. These data are then submitted to subsequent analysis and comparison in the form of graphs. Brain imaging techniques including magnetic resonance imaging (MRI) and positron emission tomography (PET) are used to show the active areas of the brain in the processing of the Stroop task. People with disorders like ADHD or schizophrenia often take much longer time than normal subjects to resolve the conflicts and make more errors due to insufficient brain circuitry. 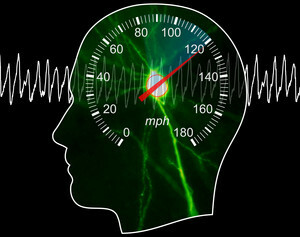 They show different results in the graphs and imaging techniques, like inactive areas which are usually active in the normal brain. There are many different versions of the test like emotional, reverse, warped words, spatial, numerical etc. You can try all those and check how smart is your brain in conflicting situations. Practice and practice because we all know that Practice makes a man perfect. Who knows, maybe you can master the art of multi-tasking! Wish you all the best.